Approx. 6 intakes per year. The new Certificate III in Individual Support replaces Certificate III in Aged Care, Certificate III in Disability and ﻿Certificate III in Home and Community Care. Certificate III in Individual Support CHC33015 offers specialisations in Ageing Support, Home and Community Support and Disability. The qualification offers flexibility for a learner to choose a range of electives to meet their job role. Also, a learner can undertake either one or two specialisations, which would be identified on their transcript. The Certificate III in Individual support is made up of 13 units of competency. Students will have to undertake certain elective units to achieve specialisation Ageing Support, Home and Community Support or Disability. View the packaging rules for the Certificate III in Individual Support and see what core and elective units you can complete. 6 months full-time and up to 24 months part-time . Each learner and workplace are unique and with this in mind we tailor the learning & assessment strategies in consultation with the employer and student. Here at Auctus we take a very practical approach and while there is some theoretical learning involved in each of the topics, the major focus is how this theory makes a difference in the workplace. It is very pleasing to see that in the last few years, our Government have been very supportive of the Aged Care and Disability sector here in South Australia. They have shown the Community that are prepared to listen to the voices and concerns of both the community and the industry and have made decisions to invest in various programs to take better care of our most vulnerable, which is long overdue. Now comes the challenge of equipping the industry with the right people to take care of the elderly and the disabled who live amongst us. Within the next five years the growth for employment in this sector will be a stand out opportunity to build a rewarding and worthwhile career. While demand is on the increase for support workers we know that without close monitoring and mindful screening the quality of care for our most vulnerable may start to suffer. We often hear various industry comments on how there are jobs available but the right people are not available, who can be either poorly trained or just not suited to the industry. People with a disability or in their later years are now able to access and have greater choices regarding the types of care they require and each provider is competing for this new area of business. Each person, whether being aged or living with a disability has unique needs. Most of these people desire the type of assistance and care that allows them to stay at home longer and enhance their quality of life. Here at Auctus Consulting, we have a very personal family based approach to our students who decide to study for a Certificate lll in Individual Support with us. We take the time to get to know our students, provide quality training and place them in an area of employment in which they can excel. Auctus takes care to ensure that candidates are a good fit for the industry and that our students have the values that align for success in the sector. Our screening includes career profiling, an interview process and ensuring competency in the areas of language, literacy and numeracy. We also work with employers to seek out their particular needs and train the participants with this in mind. For the right people this presents a great opportunity not only to make a difference in peoples lives but to grow and specialise within this rapidly growing sector. Auctus runs a 20 week course by which we are uniquely offering a dual qualification in both areas of Disability and Aged Care followed by 4 weeks of work placement. On successful completion, the participant receives their Certificate III in Individual Support. 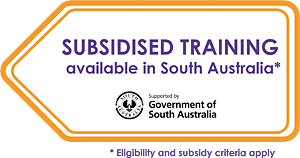 Following the completion of the training, participants are ready to work in the aged care or disability industry as a care worker. In most cases each of the people attending the course have an outcome of successful employment because of our rigorous screening, the quality of the training and the close affiliation with the sector. If you would like to find out more about how you go about starting a career in this industry then we would be happy to assist you with more information.